After having gone on sale in SIM-free form in the UK not long ago, the Honor 5X from Huawei is now also available from Three. This operator even claims an exclusive on the device, so you won't see the Honor 5X at the likes of Vodafone, EE, or O2. As you'd expect, the Honor 5X is affordable. You can get it for nothing upfront on contracts starting at £13 per month - in which case you get 100 minutes, unlimited texts, and 500MB. Thankfully there are many more options to pick from, including a £40 per month deal which nets you unlimited everything (including data). If you'd rather choose the Pay as you go route, the handset can be yours for £189.99 - which is exactly as much as it costs if you buy it SIM-free from Huawei itself. The Honor 5X has a 5.5-inch 1080p touchscreen, a 13 MP main camera with LED flash, a 5 MP selfie cam, the Qualcomm Snapdragon 616 chipset (with a 1.5 GHz octa-core Cortex-A53 CPU), 2GB of RAM, 16GB of expandable storage, 4G support, and a 3,000 mAh battery. 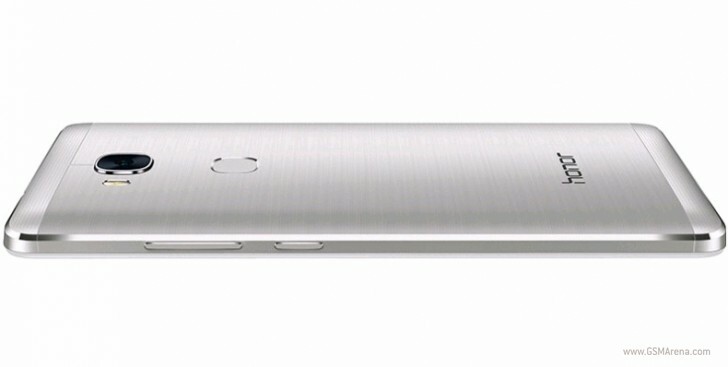 It runs Android 5.1 Lollipop with Huawei's EMUI 3.1 on top. It's internal apps is to much worse .. No multiple user, no music equalizer..